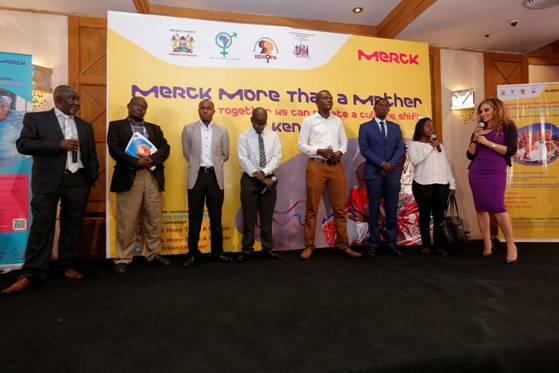 Dar-es-Salaam , Nairobi and Kampala , Tanzania, Kenya and Uganda, May 17,2017 – Merck, a leading science and technology company in healthcare, life science and performance materials, marks today World Hypertension Day with the announcement of the 2016 ‘Merck Hypertension Award’ winners and the call for applications for the 2017 Hypertension Award. 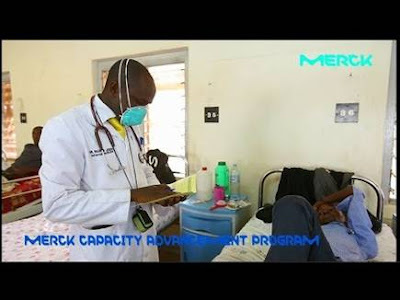 The award as part of the Merck Capacity Advancement Program was launched in April 2016 in partnership with African and Asian universities with the aim of building a platform of hypertension experts across the globe. In Kampala, Uganda, Rasha Kelej, Senior Vice President and Chief Social Officer, Merck Healthcare emphasized .”Merck plays an important role in building diabetes and hypertension care capacity and improving access to quality and sustainable healthcare solutions in developing countries. Today marks an important day in the fight against hypertension as we mark the World Hypertension Day. In this context, we have announced ten Merck Hypertension Award 2016 winners,” says Dr Rasha Kelej, Senior Vice President and Chief Social Officer, Merck Healthcare. From left to right: Prof. Elijah Ogola, Vice President, Pan African Society of Cardiology; Prof. Frederik Otieno, Endocrinology Specialist; Merck Diabetes and Hypertension Award 2016 winners from Kenya, Elisha Ngetich, Ralph Obure, Ezekiel Osolika, Samuel Mucheru, and Sheila Wambui with Dr. Rasha Kelej, Chief Social Officer, Merck Healthcare highlight the urgent need for diabetes and hypertension ambassadors and experts in Africa that the Awards aim to build. 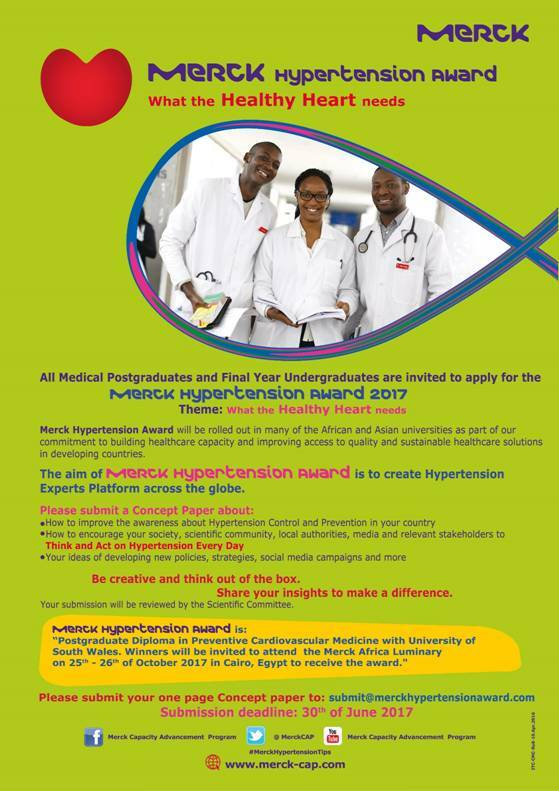 Merck invited medical students to apply for the “Merck Hypertension Award 2016” with the theme of “What the Healthy Heart needs.” Students across African and Asian medical universities were asked to submit a concept paper on how to improve hypertension awareness, early detection and prevention in their countries and how to encourage their society, scientific community, local authorities, media and relevant stakeholders to ‘think and act’ on hypertension every day. The scientific committee received over 500 concept submission applications from universities in Africa and Asia and 10 winners were selected for the award. Winners from each university have been granted a one year postgraduate Preventive Cardiovascular Medicine diploma with the University of South Wales, United Kingdom. Watch medical students from India as they share their ideas on how to improve diabetes and hypertension awareness in India. 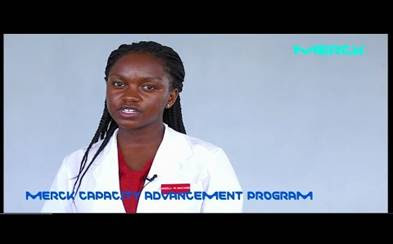 Watch medicalstudents from University of Nairobi, Kenya as they share their ideas on how toimprove diabetes and hypertension awareness in Kenya. 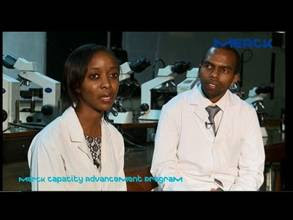 Watch medical students from Makerere University, Uganda as they share their ideas on how to improve diabetes and hypertension awareness in Uganda. 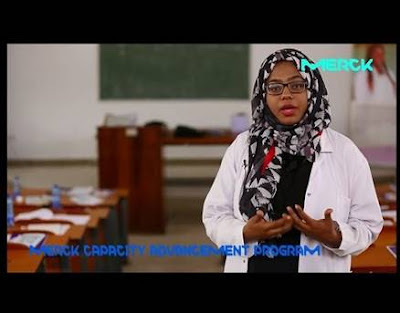 Watch medical students from Muhimbili University of Health Sciences, Tanzania as they share their ideas on how toimprove diabetes and hypertension awareness in Tanzania. Prof. Eligah Ogola, Vice President of Pan African Cardiology Society said : “We are happy to partner with Merck to implement their Capacity Advancement Program focusing on Hypertension in 2016. This combined diabetes and hypertension education program will contribute towards providing guidelines and clinical practice for prevention, diagnosis and management of these diseases and their complications. 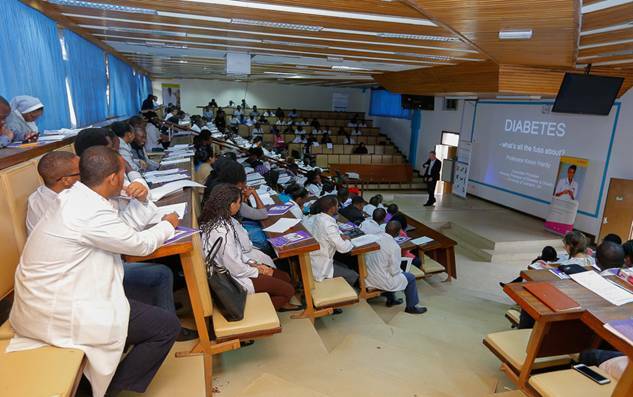 The objective of this initiative is to increase the level of knowledge for medical students who will work in the near future with patients to help them prevent, understand and control the diseases across the continent”. In addition, the Merck Capacity Advancement Program will launch in September its fifth edition of Clinical Diabetes and Hypertension Management tour across Africa and Asia. The program supports focused training to build hypertension and diabetes healthcare capacity for medical undergraduates, postgraduates and healthcare providers in partnership with universities across the two continents. 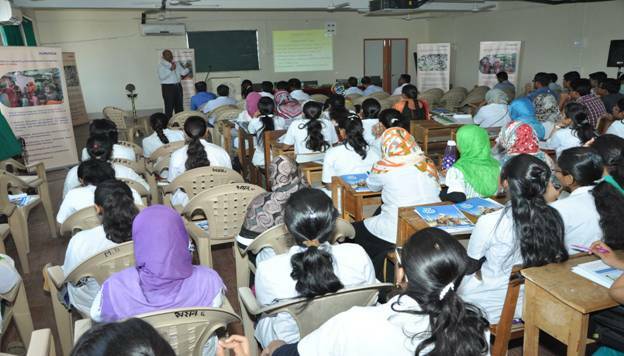 By the end of 2017, more than 25,000 medical undergraduates and postgraduates will benefit from the Clinical Diabetes and Hypertension Management training program in partnership with African universities such as University of Nairobi, Kenya, Makerere University, Uganda, Muhimbili University of Allied and Health Sciences, Tanzania, Namibia University, Namibia, Addis Ababa University, Ethiopia, University of Ghana, Ghana, Universidade Agostinho Neto and Angola Eduardo Mondlane, Mozambique. 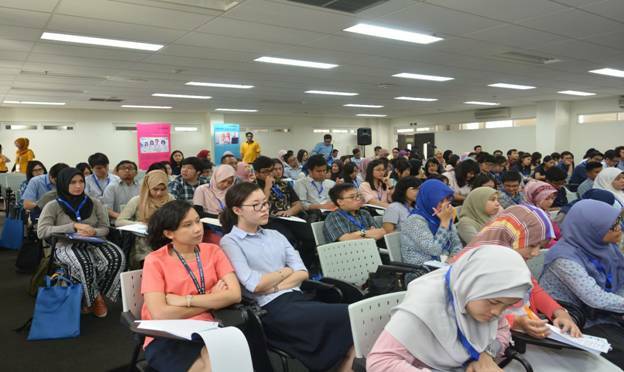 In addition, Asian universities such as Dubai Medical University, UAE, Maharashtra University, India and University of Indonesia, Indonesia also benefited from the Clinical Diabetes and Hypertension Management training.